Career officer Denis Kudrin is now in charge of Luhansk separatists' battalion. The Security Service of Ukraine (SBU) has served a notice of suspicion in absentia to a Russian mercenary who tortured and killed Ukrainian servicemen. "In April 2014, Russian national Denis Ivanovich Kudrin (aka Hooligan) joined the terrorist organization of the Luhansk People's Republic (LPR) and headed an illegal armed gang subordinated to the Main Intelligence Directorate of the Russian Defence Ministry. On his order, the terrorists repeatedly launched artillery barrages against population centres in Luhansk Region. Kudrin together with other militants took part in murders and tortures of the Ukrainian Armed Forces' servicemen and looting of civilians," the SBU said on its website. The SBU played a video recording in which Kudrin told the Russian TV channel Rossiya 24 how his unit killed about 15 Ukrainian servicemen when it was storming the ATO positions. The SBU said in its statement that in early 2015, during the Debaltseve offensive, the Russian officer was in charge of the terrorist group of the 3rd motorized infantry battalion of the 2nd detached motorized infantry brigade of the 2nd army corps of the LPR. 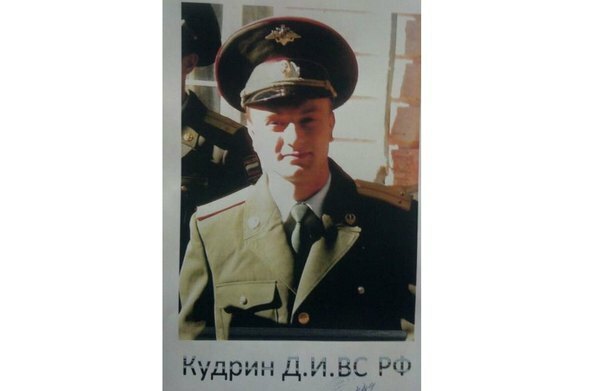 Kudrin graduated from the Serpukhov Military Institute of Missile Forces, did military service in the group of combat control of the combat support division in Irkutsk.